"The ASCO Annual Meeting is targeted to U.S. and international physicians, academicians, clinical researchers, and other health care professionals involved in multidisciplinary clinical cancer care. Patient advocates that represent national, not-for-profit patient advocacy organizations that provide programs, services, and support for people with cancer, attend as well"
All I can say is ASCO needs to review its 1964 Mission Statement, and amend it. You are a company that makes a profit off the healthcare system and have the researchers tied to you like a union. Your membership is like the UAW. Check out your annual report. Since I don’t fit the mold or what you consider patient advocate, you throw me away like garbage. I am educated and have 4 patents that I coauthored. I spent over 25 years doing research. others what is ASCO trying to do? The bottom line is it comes down to money, greed and prestige. What is it for your Organization? Somewhere you lost your charitable mission. It is the Patient that needs to be educated so they can make an educated decision on the clinical trials. We have to make life threaten decisions. We cannot depend on our local Oncologist to be up on the newest cutting edge technology. We have to be our own advocate and we need access to the latest information. I guess you can consider me a robin hood of the Melanoma world. The Patients deserve better. PD-1 is a regulator of NY-ESO-1-specific CD8+ T cell expansion in melanoma patients. Department of Medicine and Division of Hematology/Oncology, University of Pittsburgh, School of Medicine, Pittsburgh, PA 15213, USA. "The programmed death 1 (PD-1) receptor is a negative regulator of activated T cells and is up-regulated on exhausted virus-specific CD8(+) T cells in chronically infected mice and humans. Programmed death ligand 1 (PD-L1) is expressed by multiple tumors, and its interaction with PD-1 resulted in tumor escape in experimental models. To investigate the role of PD-1 in impairing spontaneous tumor Ag-specific CD8(+) T cells in melanoma patients, we have examined the effect of PD-1 expression on ex vivo detectable CD8(+) T cells specific to the tumor Ag NY-ESO-1. In contrast to EBV, influenza, or Melan-A/MART-1-specific CD8(+) T cells, NY-ESO-1-specific CD8(+) T cells up-regulated PD-1 expression. PD-1 up-regulation on spontaneous NY-ESO-1-specific CD8(+) T cells occurs along with T cell activation and is not directly associated with an inability to produce cytokines. Importantly, blockade of the PD-1/PD-L1 pathway in combination with prolonged Ag stimulation with PD-L1(+) APCs or melanoma cells augmented the number of cytokine-producing, proliferating, and total NY-ESO-1-specific CD8(+) T cells. Collectively, our findings support the role of PD-1 as a regulator of NY-ESO-1-specific CD8(+) T cell expansion in the context of chronic Ag stimulation. They further support the use of PD-1/PD-L1 pathway blockade in cancer patients to partially restore NY-ESO-1-specific CD8(+) T cell numbers and functions, increasing the likelihood of tumor regression. " Programmed death-1 blockade (anti-PD-1 mAb) enhances expansion and functional capacity of human melanoma antigen-specific CTLs. "The increased frequencies and absolute numbers of antigen-specific CTLs by PD-1 blockade resulted from augmented proliferation, not decreased apoptosis. Kinetic analysis of cytokine secretion demonstrated that PD-1 blockade increased both type-1 and type-2 cytokine accumulation in culture without any apparent skewing of the cytokine repertoire." These findings have implications for developing new cancer immunotherapy strategies for Melanoma!!!!!!! I believe Yale and MD Anderson have trials with the Moffit Center in Flordia coming on soon. The best way to fight cancer (Melanoma) in my opinion is to have your own immune system do the work. First one must activate the T-cells. Activation of T cells requires both engagement of the (TCR) T Cell Receptor with a cognate peptide–MHC complex and an additional costimulatory signal. The antigen must be in the right configuration and be specific to the cancer. The antigen becomes part of the MHC complex. The T cell receptor is restricted to recognizing antigenic peptides only when bound to appropriate molecules of the major histocompatibility complex (MHC), also known in humans as Human leukocyte antigen (HLA). Secondly one must have a co-simulative signal. The best known co-stimulatory ligands (proteins) are members of the B7-family, B7-1 (CD80) or B7-2 (CD86), that are expressed on professional antigen-presenting cells (APCs) such as dendritic cells (DCs); these act through their receptor CD28 on T cells CTLA-4 (CD152) is a second receptor for CD80 and CD86, which is not expressed on most resting T cells but is induced upon T-cell activation. The interaction of CD80/CD86 with CTLA-4 has higher affinity than that with CD28, and down-regulates T-cell activation . Thus, CTLA-4 effectively competes with CD28 for CD80/ CD86 at later stages of the immune response to suppress the activation and bring about activation-induced nonresponsiveness (AINR) and/or activation-induced cell death (AICD). Down-regulation of T-cell function by CTLA-4 engagement appears to play a key role in development of T-cell tolerance or anergy towards self- or tumor antigens while antigenic stimulation in the absence of co-stimulatory signals is also tolerogenic. By Treg depletion, you can also break the balance of anergy. Dr. Rosenberg uses Treg depletion prior to Adoptive Cell Transfer therapy. Bottom line is you need to invoke this type activation to orchestrate an immune response. "The American Society of Clinical Oncology (ASCO) is a non-profit organization, founded in 1964, with overarching goals of improving cancer care and prevention and ensuring that all patients with cancer receive care of the highest quality. More than 25,000 oncology practitioners belong to ASCO, representing all oncology disciplines." At the end of their fiscal year in 2008 they had a net asset value of $22,191,468. This doesn't sound like a non-profit organization. Buddy, can you spare a dime so we can get the medical information that we despartly need? "We also make trusted cancer information available directly to the public. There is no source of cancer information – for physicians or patients – that is more comprehensive, current and trusted than ASCO’s premier website Cancer.Net. All the information and content on Cancer.Net is developed and approved by the cancer doctors at ASCO, making Cancer.Net the most up-to-date and trusted resource for cancer information on the Internet. One of our goals at The ASCO Cancer Foundation is to make this information widely available and expand cancer literacy. We understand the power of knowledge. Our work extends that power to cancer doctors and patients around the world." Then why are they charging for vitual meeting? I guess the bottom line is $$$$$$$$$$. "The 2009 ASCO Annual Meeting will be a forum for cutting-edge scientific and educational developments in oncology with a focus on personalizing cancer care." This Year the Meeting will be held in Orlando, Florida. Thank you for applying for a patient advocate scholarship to attend the 2009 ASCO Annual Meeting in Orlando, May 28 – June 2. We regret to inform you that we will not be able to provide you with a scholarship for this year’s ASCO Annual Meeting. If you are still interested in the Meeting, you are welcome to subscribe to the Virtual Meeting at a discounted rate of $70 (the normal rate for non-ASCO members is $275). With a Virtual Meeting subscription, subscribers will be able to view audio and slides of presentations made at the Meeting. Virtual Meeting includes exclusive access to the 2009 Annual Meeting content for 180 days following the meeting. All sessions will be available to the public beginning December 1, 2009. All non-ticketed sessions are included (Education, Clinical Science Symposia, Oral Abstracts, Posters). Presentations will be loaded to the Virtual Meeting section of ASCO.org (www.asco.org/vm) as they are made available. The majority of presentations will be available within 24 hours of the session’s completion. Please let us know if you would like to purchase the Virtual Meeting and we will facilitate that process for you. If you think I should go, please send a letter to ASCO. So I asked who won the scholarship? I cannot release the names of the scholarship recipients. I am sorry we were not able to give scholarships to all who applied. We had very limited funds to work with, most likely due to the state of the economy. 52, passed away on Saturday, April 25, 2009 after a courageous two year battle with Metastatic Melanoma. Born in Detroit Michigan, he moved to Pinellas County in 1976. Dean was a PGA Golf Professional. His teaching career includes Assistant Professional at Feather Sound Country Club, Head Professional at Lakewood Country Club, Director of Golf at Ben Sutton Golf School and Assistant Professional at Belleair Country Club. Dean’s many accomplishments include 2002 North Florida Section PGA Teacher of the Year, 2005 North Florida Section PGA West Central Chapter Teacher of the Year and 2008 North Florida Section PGA West Central Chapter Assistant of the Year. 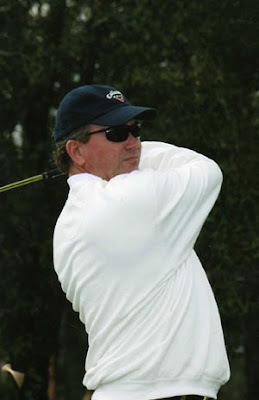 Dean was also named to the top 500 PGA Teaching Professionals in the nation from 2002 to 2005 and was frequently published in various golf magazines. Dean is survived by his wife, Kris; sons Ben and Ryan and daughter Melissa. Other survivors include his mother, Jean, of Sun City, brothers, Mark, Kurt, and Todd. Dean was the beloved uncle of ten nieces and nephews. A memorial service will be held Wednesday, April 29 at 4:00 pm at Generations Christian Church on Keystone Road in Tarpon Springs with a reception to follow at Dean and Kris's home at 2534 Richards Rd., Tarpon Springs, FL. from 5:00pm to 7:00pm. "Effective melanoma therapies may be inching forward, with a number of the new class of potential therapeutics in the pipeline entering Phase III trials, and researchers presenting some of the first published data on other agents at this year’s annual meeting of the American Society of Clinical Oncology (ASCO) in Chicago. But with mixed results, some disappointing, some surprising, some researchers say clinicians and clinical trial designers must rethink development strategies, including patient selection, if some of the new class of biological therapeutics for melanoma are to make significant headway. “The problem with melanoma is that, other than surgery, there really are no very good effective therapies. The chemotherapies that are out there are not curative but palliative treatments,” explains David Solit, MD, Elizabeth and Felix Rohatyn Chair and Assistant Attending Physician, Department of Medicine, Sloan-Kettering Cancer Center. But the news at ASCO was not all good for the new therapies. Some of the most important new strategies for treating advanced melanoma focus on the patient’s immune system. “Two of the strategies use anti-CTLA 4 and anti-PD1 agents to take the brakes off the patient’s immune system. Both are receptors on a patient’s T-cells, which are part of the normal braking system, which is a good thing at most times, but not a good thing in regards to a cancer cell,” says Walter Urba, MD, PhD, Director of Cancer Research at the Earle A. Chiles Research Institute in Portland, Oregon. “The other two strategies use antibodies 41BB or OX 40. At ASCO this year, we saw some late clinical trial results with the anti-CTLA 4 product, and the first published results with anti-41BB and anti-PD1,” says Dr. Urba, who also discussed very early results with his own institution’s investigational agent, OX 40. A disappointing trial of a new potential therapeutic agent was a head-to-head trial of an agent called a MEK inhibitor, which was tested against temozolomide, a standard pre-existing chemotherapy for melanoma. There was no significant difference between the standard arm and the MEK inhibitor (AZD 6244 by Astra Zenaca), according to the trial results. However, patient selection may be the problem. “Genetic differences are relevant, because the BRAF mutation found so often in melanoma patients, activates a protein called MEK. “If you have a RAF mutation, you may respond a lot better to a MEK inhibitor,” explains Dr. Solit, noting that in addition to the Astra Zenaca drug, another MEK inhibitor in research is a drug from Pfizer called PD 0325901. The Astra Zenaca drug, which encountered the disappointing result, is in Phase II trials, whereas the MEK inhibitor from Pfizer is only in Phase I. There were some positive, surprising results presented as well, however. A Phase II trial of ipilimumab, an investigational immunomodulatory agent from Bristol Meyers Squibb, which is in late Phase III trials, was studied in a population of 115 patients in combination therapy with Budesonide, a currently existing therapy. “Our primary endpoint was to see whether in a randomized trial we could reduce the amount of diarrhea that occurs as a side effect of the Budesonide, and our primary endpoint was not successful, but ironically, the clinical results were outstanding. Our median survivals were over a year,” says Jeffrey Weber, MD, PhD, Director of the Donald A Adam Comprehensive Melanoma Research Center and Professor of Oncologic Sciences at the University of South Florida. Updated survival data of three Phase 2 studies of ipilimumab in patients with metastatic melanoma (Stage III or IV) who had previously been treated were presented at the European Society for Medical Oncology in Stockholm. Study results show that approximately half of patients who received ipilimumab (10 mg/kg) remained alive beyond 1 year. The results are based on follow-up of the patient population from studies 008, 022 and 007 treated with 10 mg/kg of ipilimumab (induction and maintenance) and show a consistent 1-year survival rate between 47% and 51%. Another promising strategy offering hope to advanced melanoma patients is to stimulate the patient’s immune system, by mimicking signal’s sent naturally by the body. “We have learned from studying patients with melanoma just how powerful the immune system can be, but we need to supplement the response, and free it from some of its limitations,” says Robert H. Vonderheide, MD, Assistant Professor of Medicine at Abramson Cancer Center at the University of Pennsylvania. The immune response in melanoma patients can be so pronounced that in rare cases, tumors even shrink in the face of it, says Dr. Vonderheide. Dr. Urba agreed. “The immune response in melanoma is different from other cancers,” he explains. “One of the thoughts is that melanoma tumors are more immunogenic. Sometimes the response occurs after disease progression. In a couple percent of every patient population, the patient comes in and looks for all the world like they’re having tumor progression, and they end up having the tumor go away in response. The rationale is, that maybe it takes time for an immune response to build up and eliminate tumor cells following these investigational therapies,” he says, noting that these delayed responses can occur 8 or 12 weeks following therapy. In another study, the CD40 agonist will be given, along with chemotherapy, every 3 weeks, and the trial is enrolling as many as 30 patients, according to Dr. Vonderheide. With some of the therapies, lack of experience in testing them may lead to unpredictable future results; in others, the sheer longevity of their period in trials can lead to skepticism. “Anti-CTLA 4, an anti-inhibitory drug, has probably been in clinical trials for about 7 years, whereas anti-PD1, which is also an anti-inhibitory drug, has probably not been in trials for much more than a year,” says Dr. Urba, noting that the 41BB has also been in trials for 2 years. For some drugs, clinical trials have enrolled hundreds of patients over the years, while other novel agents have only been tested in a few dozen humans. “The delayed response phenomenon, for example, has not been seen with other agents besides ipilimumab and tremilimumab, but with the other agents, the number of patients who have been treated is so small I’m not sure if we would have seen it,” he adds. Still, the novel agents, whether young or old, often offer the only hope for advanced melanoma patients to hold onto. “Nonetheless, it’s probably going to be a long series of trials to figure out which are the patients who are going to benefit. It’s a targeted therapy, and it doesn’t work for everybody. But we have insight into who it would work in, and we need to incorporate that information into our clinical trial design,” Dr. Solit says." Abstract: "The activation and development of an adaptive immune response is initiated by the engagement of aT-cell antigen receptor by an antigenic peptide-MHCcom plex.The outcome of this engagement is determined by both positive and negative signals, costimulation and coinhibition, generated mainly by the interaction between the B7 family and their receptor CD28 family. The importance of costimulation and coinhibition of T cells in controlling immune responses is exploited by tumors as immune evasion pathways. Absence of the expression of costimulatory B7 molecules renders tumors invisible to the immune system, whereas enhanced expression of inhibitory B7 molecules protects them from effectiveTcell destruction. Therefore, the manipulation of these pathways is crucial for developing effective tumor immunotherapy.Translation of our basic knowledge of costimulation and coinhibitioninto early clinical trials has shown considerable promise." If you do anything, Please read this paper!!! This link was sent to me from a dear friend across the country.I would like to thank her for being an advocate. It is a 20 min. video. You will now see and hear first hand why I am pushing so hard to be heard. I have been in touch with Dr. Weber. What is compassionate drug use? Medical professionals use the term “compassionate use” to refer to the treatment of a seriously ill patient using a new, unapproved drug when no other treatments are available. Drugs that are being scientifically tested but have not yet been approved by the United States Food and Drug Administration are called investigational drugs. Access to one of these drugs when you are not in a clinical trial has many names, but is most commonly referred to as compassionate use. Is compassionate drug use legal? A company sponsoring a drug in the late stages of drug development, including Phase III clinical trials, can offer expanded access programs for patients who are not able to enroll in a clinical trial. The FDA generally approves these programs if the drug has shown some effectiveness against a specific cancer in the clinical trials that are being done. Patients who are not eligible for either clinical trials or an expanded access program (if one exists) may be able to get the unapproved new drug by applying for single patient access. In this case, the patient's doctor must first request permission for access to the drug from the drug company. If the company agrees, the patient's doctor works with the drug company to ask the FDA to approve the drug for use by this one patient. The length of time it takes to get single patient access varies. But if it is an emergency, the FDA can complete the paperwork in 24 hours. Why are compassionate drugs used? Compassionate drug use is mostly obtained for patients with advanced disease who have tried all of the available treatment options and whose disease has not responded, or for patients with diseases that have no approved treatment options and no clinical trials that meet the patients' needs. There must also be reason to expect some benefit from the investigational drug. In cases such as these, the doctor may consider trying to get a new, unapproved drug for a patient who is not in a clinical trial. What problems are associated with compassionate drug use? Perhaps the biggest problem with compassionate drug use is that it is hard to get. The simplest way to get access to an unapproved drug is through a clinical trial. But many people with life-threatening diseases either cannot find suitable clinical trials, or they live far from cancer research centers, or they are not eligible for any studies being done. Expanded access programs (if offered by the drug company) or access through single-patient compassionate use is possible for some. But working out single-patient compassionate use of an unapproved drug is often time-consuming and frustrating. For instance, there is no single policy or process followed by the FDA and drug companies. As of 2007, no one publishes a list of all the drugs that are available through compassionate use in the United States. There is no way to require the drug company to supply the drug. Producing extra medicine for people who are not in clinical trials can be expensive for the drug company, especially since there is a chance the drug will not be approved. Compassionate drug use can also be very confusing. There are several programs that regulate it. There are many terms and definitions that are used to describe how a patient may get access to an unapproved, new drug outside of a clinical trial. Drug companies, patient advocacy groups, and the FDA all may use different terms for the same things. For example, the terms used by the FDA are defined in their regulations, while most drug companies refer to their compassionate access programs with terms that are unique to their specific programs and not in line with the FDA language"
Bristol-Myers Squibb and Medarex are working to manage the supply issue and may be able to re-open compassionate use in the future. The companies are committed to providing uninterrupted treatment to patients who initiate therapy with ipilimumab. Therefore, if and when the compassionate use program reopens, it will be at such time when continuous and unconstrained supply is available." As a patient Melanoma stage IV. I have heard that there is a shortage on this monoclonal antibody for companionate use. I have watched people die because it is not available. Please could you investigate and get back to me. I am forwarding your inquiry to the Center for Drug Evaluation and Research (CDER). They will respond to you as soon as possible. If we all Work Together We Can Move Mountains!!!!!! Share your story and send in ideas about why we need health reform this year. "Health care reform is no longer just a moral imperative, it is a fiscal imperative. If we want to create jobs and rebuild our economy, then we must address the crushing cost of health care this year, in this Administration." "I was going through some clips this week and the Houston Chronicle Op-Ed caught my eye "Now's time to reinvigorate country's War on Cancer. U.S. Senators Kennedy and Hutchison outlines in the piece what their bipartisan legislation proposes to do to get things moving. Of the many important proposals detailed in the legislation, the third solution the senators present focus on a more coordinated approach to cancer research. There was also mention of how "Integrated research will help accelerate the progress of lifesaving research. The search for cures should be a collaborative goal." Indeed! I was particularly pleased when the senators highlighted the need to establishing an interconnected network of biorepositories with broadly accessible sources of tissue collection and storage. Biospecimens are often cited by the research community as the most critical of all issues. Unfortunately, experts contend that "of the 350 million specimens collected in the United States, only 30 percent of them - some say the number is even lower - are of a quality standard high enough for research purposes." That's why we developed and facilitate BioBank Central. We want to link researchers with resources, encourage the donation of specimens, and educate the public about scientific advancements. I am hopeful that this bipartisan legislation will be instrumental in breaking down this obstacle to research progress." If only the Doctors, the Universities, the Drug Companies, the Insurance companies and the Government would work together instead of Bickering who is going to get which piece of the pie. It is time put down our differeces and work together for a Cure. "If We Work together, We can Move Mountains!!!!!" Scientists have developed a new approach for surveying phosphorylation, a process that is regulated by critical cell signaling pathways and regulates several key cellular signaling events. The research, published by Cell Press in the April 10th issue of the journal Molecular Cell, describes the regulation of a previously uncharacterized protein and demonstrates that it plays an important role in cancer cell invasion. Many cancers, including melanoma, are associated with mutations in the gene encoding the protein kinase B-Raf. Kinases are proteins that regulate the function of other proteins by attaching a phosphate group to them. B-RAF mutations often lead to dysregulation of protein phosphorylation by the mitogen-activated protein (MAP) kinase signaling pathway. Identification and characterization of MAP kinase target proteins is critical for understanding the mechanisms involved in cancer progression. "In contrast to targets regulated at the level of gene expression, little is known about how proteins are modified in response to oncogenic B-Raf signaling in melanoma cells. In particular, identifying cellular targets for phosphorylation is needed to gain a more comprehensive understanding of the responses to MAP kinase pathway dysregulation in melanoma," explains senior study author Dr. Natalie G. Ahn from the Department of Chemistry and Biochemistry at the University of Colorado and the Howard Hughes Medical Institute. As scientists peel back each layer of this Melanoma Onion,they discover new things along the way.With each new discovery we get closer to a cure/stabiization. And there are many ways to peel an onion. "New research suggests that monoclonal antibody therapy of cancer can be improved to be much more powerful than it is today, says a researcher at Georgetown University Medical Center's Lombardi Comprehensive Cancer Center in the March 21 issue of the Lancet. "We believe that antibody therapy has the capacity to immunize people against cancer," says Louis Weiner, MD, director of the cancer center at GUMC and an internationally recognized expert in development and use of monoclonal antibodies. "Treatment modifications might be able to prolong, amplify, and shape a continuous immune response to cancer cells." Weiner was asked by Lancet editors to write a review article discussing the newest research in this field. His co-authors are Madhav Dhodapkar, MD, of Yale University and Soldano Ferrone, MD, of the University of Pittsburgh. Their analysis, based on reviewing the last eight years of research on monoclonal antibody treatment, suggests that a new era in use of these therapies is just around the corner. "Scientists have been able to use new tools to measure effectiveness of these therapies, and have found that antibodies are capable of stimulating the immune system in ways that had not been appreciated to date, and which we can now take advantage of," Weiner says. Antibodies are immune system proteins that seek out and neutralize molecules they recognize as foreign to a body, such as viruses and bacteria. Monoclonal antibodies are proteins crafted in a laboratory to recognize specific receptors, or antigens, on cancer cells; some antigens promote uncontrolled growth. These antibodies are designed to both attach to cancer receptors to inhibit their function and to alert and activate the immune system to the presence of these receptor proteins. Monoclonal antibodies already offer effective treatment for a wide range of cancers, including breast cancer (Herceptin®, Avastin®), colorectal cancer (Erbitux®, Avastin), lung cancer (Avastin), and blood cancers (Rituxan®, Campath®), but they have appeared to primarily work by forcing tumor related receptors to shut down pro-growth signals, Weiner says." Researchers reveal how immune cells can be harnessed to target melanoma. Researchers at the Babraham Institute and the University of Catanzaro "Magna Graecia", Italy, co-ordinating an international network of scientists and clinicians from Europe, the USA and Japan, have identified new mechanisms through which the immune system recognises and responds to tumours like melanomas. This discovery may offer therapeutic approaches for tackling metastatic melanoma, an aggressive form of skin cancer responsible for around 2,000 deaths in the UK each year. These exciting new findings, published in the online edition of the Journal of Clinical Investigation, reveal how a type of white blood cell - Natural Killer (NK) cells - tackles tumours, characterising for the first time the molecular interactions that lead to melanoma destruction. This has advanced understanding of melanoma recognition by the immune system and has the potential to open up new avenues of research into the prevention of metastasis by harnessing NK cells’ natural immunity. Controlling cancer by blocking exhaustion? "The other day I talked about about resurrecting the antiviral response in HIV patients. 1 Antiviral T cells in HIV (and other chronic immune responses) become exhausted: After long exposure to antigen, the cytotoxic T lymphocytes (CTL) become dysfunctional, incapable of mounting a potent response to the virus. This exhausted state is correlated with a number of surface flags, especially the molecules PD-1 and CTLA-4. These aren’t merely flags, but rather they actually transmit the signal to become exhausted. So it turns out that blocking PD-1 reversed the exhaustion, restored CTL to their youthful vigor, and allowed them to effectively suppress the virus replication. All the monkeys treated with PD-1 blockade survived, whereas most of those left untreated died within a few months. As I say, exhaustion isn’t unique to HIV. Probably any chronic exposure to antigen tends to cause T cell inhibition. There’s molecular logic behind this; if you’ve been fighting an infection for many months, you’re probably not winning, and your immune response is probably doing as much damage as the infection would. Or — even worse — you’re not fighting an infection at all, you’re attacking yourself (because of course you can’t eliminate your own antigens). So maybe it’s time to back off a few notches on the attack and try to reach an accommodation with the antigen. There are a number of cases — probably many cases — where this seems to work well. Rodents that are chronically infected with hantaviruses turn on a regulatory T cell (TReg) type response, shutting own the attack on the virus and letting them become persistent infections. This comes with some cost, but not too much; probably the infected rodents do much better by letting the virus persist, than if they kept trying to fight the infection. There’s another condition when T cells chronically attempt to attack foreign antigen, frequently fail to eliminate it, and become inhibited. This is, of course, cancer. The nature of the CTL inhibition may not be exactly the same as in HIV infections and other CTL exhaustion scenarios, but it’s pretty clear that in general, CTL are not very effective against tumors. After all, most tumors don’t spontaneously regress after a few weeks. This is probably because when CTL are effective against tumors, that tumor never becomes detectable. In other words, we are only aware of those cancer where CTL are ineffective. (See here (part I) and here (part II) for more detail.) What often happens with tumors, that may be less of an issue with virus infections, is that TRegs become activated and move into the tumor; TRegs shut down aggressive immune responses. As a result, even if you infuse the patient with active anti-tumor cells, or vaccinate and activate the anti-tumor response that way, the anti-tumor response is often quickly shut down by the TRegs and the response never really goes very far. So can the ineffective T cell response in tumors be reversed, as was done with the ineffective T cell response in SIV? It certainly can — but, as with most anti-tumor immune therapies, it doesn’t work all the time. A recent paper3 has connected CTLA-4 blockade to the emerging theme of polyfunctionality. As I’ve noted before, it’s become clear over the past couple of years that not all CTL are equal. In HIV infection, polyfunctional CTL — CTL that are capable of producing a wide range of effects, rather than just one or two — are often linked to suppression of the virus. In melanoma patients treated with CTLA-4 blockade, not only were more T cells specific for melanoma antigens present, but those CTL were more likely to be polyfunctional — thus more likely to be effective at destroying the tumor — and those patients were much more likely to have regression of their tumors than in people without CTLA-4 blockade. So the concept that TRegs — or some other inhibitory effect associated with CTLA-4 — suppress anti-tumor immune responses is likely to be correct, and it seems that at least in some cases it’s possible to override that inhibition and drive T cells to once again attack the tumor effectively. When that happens, cancer can be cured. It’s just a question of being able to do this on a consistent basis. Unfortunately, that’s still the hard part." I hope to make contact with my Congressman tonight. Last July (2005) I was riding my bicycle to work at the Eastman Kodak Research Labs about 3 miles from home; I was wearing a knapsack to carry my things to and from the labs. I started noticing an ache on my back. So I decide to go to the dermatologist. To make the log story short, it was cancer. Melanoma. 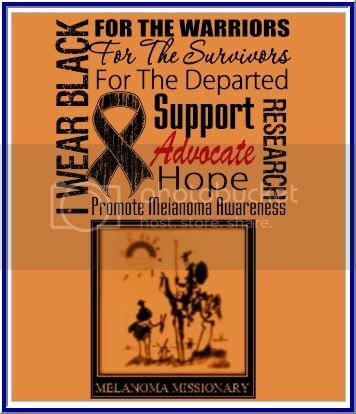 Over 64000 a year are diagnosed with Melanoma and 8500 will die this year alone. There is no cure for this type of cancer and if you progress to a stage IV were it has metastized, you usually have 6 to 9 months to live. Anyway, I had to go out of state to get the specialized treatment. In doing so, I did four clinical trials to try to save my life. The last two were immunology therapy. One was anti-CTLA-4 blockage (Monoclonal antibodies) and the other was high dose Interluekin-2 (IL-2). These combinations of therapy just so happen to jump start my immune system. 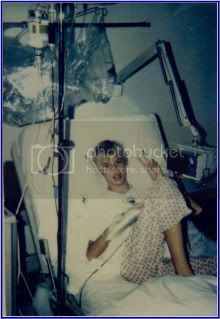 At the time of the therapies I had 40+ tumors in my Lungs. Today 26 months, I am (NED) no evidence of disease. So being a researcher by profession at Eastman Kodak for 25 years (I hold a couple of patents that I helped coauthored), I began to research and piece together why my treatment has worked. I have contacted Dr. Steven a Rosenberg and other colleagues to review my Theory. “Thank you so much for sharing your experience and thoughts. (ASCO) is the American Society of Clinical Oncology. The meeting this will be held on May 31-June 2, 2009 in Florida. As you can see, I am trying to get the word out and hopefully gain some traction. I have tried to contact the two drug companies because this treatment/ theory involves their two drugs and they must be used in concert together to obtain a synergic immune response. Dr. Rosenberg and colleagues did a trial at the NCI but the dosage and the timing of each of the drugs were not done at optimal conditions at the time. Based on my theory and other researchers now know that there is a “time dependent variability of immunoreactivity in patients with melanoma” and that a higher dose is needed to obtain a immune response. As you can see, I am passionate in finding a cure/stabilization. I have come to you as my representative, to ask for your assistance to help further this cause because I believe this will benefit the Nation as a whole and even the world as it pertains to today. We need to get this Drug FDA approved as soon as possible. We can stand up to cancer and Move Mountains if we all work together!!!!!!!!!! Please don’t let this fall on deaf ears. I will volunteer to help move this forward. We owe it to the 65000+ patients in Our Country and the world. LONDON (Reuters) - Up to 70 percent of melanoma skin cancers may be triggered by a gene mutation that causes cells to become cancerous after excessive exposure to the sun, researchers said on Monday. The discovery could lead to better treatments for the most deadly form of skin cancer after scientists at Britain's Institute of Cancer Research established the BRAF gene mutation is often the first event in the cascade of genetic changes leading to melanoma. Scientists already knew the BRAF gene was frequently damaged in patients with melanoma, but it was unclear if this was a cause or effect of the cancer. The British institute published its findings in the journal Cancer Cell. "Our study shows that the genetic damage of BRAF is the first step in skin cancer development," said lead author Richard Marais. "Understanding this process will help us develop more effective treatments for the disease." The hope is that knowing the genetics behind skin cancer will lead to the development of targeted drugs that can fix the faulty genetic machinery. While melanoma accounts for only a small percentage of skin cancers, it is responsible for most skin cancer deaths. The disease is characterised by the uncontrolled proliferation of pigment-producing skin cells called melanocytes. Over-exposure to sunlight is to blame for at least two-thirds of cases as DNA in sunburnt skin cells become damaged, leading to the genetic mutations. published articles about the importance of genetics, genomics, personalized medicine, family history, pharmacogenomics, genetic testing, the GINA bill, NCHPEG, EGAPP, and NHGRI among other topics. The question you may ask is: What is the clinical application for this science today? How to Begin to Put the Knowledge of Genetics to Work for You!!! "Depletion of TREG cells using CD25-specific (mAbs) monoclonal antibodies has been shown to promote rejection of several transplantable murine tumour cell lines, including melanoma, fibrosarcoma, leukaemia and colorectal carcinoma. These studies imply that TREG cells normally inhibit the generation of effective T cell-dependent anti-tumour immune responses. These finding have been confirmed in the clinical setting, where the prevalence of TREG cells was found to be increased in the peripheral blood and tumour microenvironment of cancer patients." We just need to break the imbalance and generate an immune response. activation-induced cell death (AICD) and lack of T REG cells. Furthermore, in vivo IL-2 neutralisation by use of an IL-2 blocking antibody also induces autoimmune diseases in mice. The detailed molecular mechanisms of the effects of IL-2 in the homeostasis and suppressive function of TREG cells have still to be clarified." "CD4+CD25+Foxp3+ regulatory T cells: frombasic research to potential therapeutic use"
NEW YORK (Reuters Health) - Triple therapy with monthly carboplatin, weekly paclitaxel and biweekly bevacizumab for patients with unresectable stage IV melanoma achieved "the best result ever in a clinical trial of metastatic melanoma conducted at the Mayo Clinic," investigators report. Dr. Svetomir Markovic and colleagues in Rochester, Minnesota, conducted a two-stage phase II study of the triple chemotherapy regimen in 53 patients with unresectable stage IV melanoma. Carboplatin was given on day 1 of a 28-day cycle. Paclitaxel was given on days 1, 8 and 15. Bevacizumab was given on days 1 and 15. Treatment was continued until patients achieved remission or experienced intolerable toxicity. The Mayo Clinic team reports in the January 1 issue of Cancer that nine patients (17%) achieved partial remission. Thirty patients (57%) achieved stable disease for at least 8 weeks. Median progression-free survival was 6 months and median overall survival was 12 months. One patient died after eight treatment cycles from intracranial hemorrhage at the site of undiagnosed brain metastases. Severe grade 3 or higher toxicities that limited treatment included neutropenia in 53%, thrombocytopenia in 11%, hypertension in 9% and anemia in 8%. Bevacizumab appeared to cause the most treatment-limiting toxicity, the researchers found. "Based on our limited phase II data, the combination seems effective," Dr. Markovic said. "An ongoing randomized Genentech-sponsored phase II study of Taxol/carboplatin compared with Taxol/carboplatin/bevacizumab in stage IV melanoma is under way," Dr. Markovic added. "If there is an advantage to the bevacizumab arm, as we would suspect, we would proceed with a randomized phase III clinical trial comparing the new combination with 'standard of care.'" "The phase III study is already written and we will implement its final development upon release of the data from the randomized phase II study," Dr. Markovic concluded. "In yesterday's Washington Post, E.J. Dionne makes the case that this year, is "healthcare's year." He claims "this is the year Congress will finally give every American access to health insurance." As "healthcare reform," mainly healthcare coverage, continues to rise to the top of the nation's domestic priorities, the biomedical research industry needs to continue to work fast and furious to ensure that we will actually have available the safe and effective drugs and devices that we've worked so hard to get covered. The process of bringing drugs to market is laborious, complex, and lengthy. Shareholder-driven entities and public organizations need to take high risks. Advocacy groups need to be armed with the right tools to support and scrutinize. Healthcare consumers need to understand and appreciate what medical research entails and be willing participants in the process, ideally before they become patients. Medical providers need to be able to go beyond the six-minute window they have to "deliver care" and actually provide patients with easy-to-grasp information that will empower them to make right decisions and engage them in the process of finding a cure. At FasterCures, our efforts focus on finding new medical solutions by seeking ways to disentangle conflicting incentives that permeate the medical research environment, misaligned priorities, and often, misplaced regulation. We share this commitment with numerous like-minded organizations. But we can't continue talking among ourselves. We need diverse voices because disease and disability knows no bounds." "We need more un-scientists experimenting with science." "Other investigators have demonstrated an increased proportion of Treg cells in lymph nodes with metastatic melanoma . Furthermore, the failure of an objective clinical response in patients undergoing immune therapies has been mechanistically linked with elevated percentages of Treg cells in these patients [29, 30]. Although the percentage of Treg cells was relatively small in our study (ranging from 1.3% to 3.7% of CD4+ T cells), Treg cells are quite active in small concentrations and have been shown to inhibit cellular proliferation and cytokine secretion in effector cells in in vitro studies at concentrations as low at 3% of CD4+ T cells . In addition, the immunosuppressive activity of Treg cells follows a dose response curve and small increases in their concentration greatly enhance their immune suppression . These findings, taken together with the results of our study, point toward a mechanism of immunosuppression in melanoma involving Treg cells." I know this paper is very technical, but it is the needle in the hay stack. If we can contol the Tregs, than we have a fighting chance of involking an immune repsonse. Please take a moment to read this paper. By doing this It gives the TILs a fighting chance of survival and activation. Il-2 is added for maintance and survival of the TILs. So I came across a paper "CTLA-4 Blockade Confers Lymphocyte Resistance to Regulatory T-Cells in Advanced Melanoma: Surrogate Marker of Efficacy of Tremelimumab?" Purpose: Anti–CTL antigen-4 (CTLA-4) monoclonal antibody (mAb) has led to encouraging antitumor activity associated with immune-related adverse events in patients with heavily pretreated melanoma. However, mechanisms of action and surrogate immunologic markers of efficacy have not been reported thus far. Experimental Design: We monitored the immune responses of 10 melanoma patients included in a phase II clinical trial, which evaluated the efficacy of a second line of therapy of tremelimumab anti–CTLA-4 mAb in patients with metastatic melanoma. The frequency of blood leukocyte populations in association with T cell and regulatory T cell (Treg) functions were evaluated. Results: Prior to therapy, patients with advanced melanoma presented with a severe CD4+ and CD8+ T cell lymphopenia associated with blunted T-cell proliferative capacities that could be assigned to Treg. Tremelimumab rapidly restored the effector and memory CD4+ and CD8+ T-cell pool and TCR-dependent T-cell proliferation that became entirely resistant to Treg-mediated suppression. Progression-free survival and overall survival was directly correlated with the acquisition of a biological response defined as the resistance of peripheral lymphocytes to Treg-inhibitory effects (obtained in 7 of 10 patients). Conclusion: CTLA-4 blockade seems to be a valuable strategy to revive reactive memory T cells anergized in the context of stage IV melanoma, and our work suggests that memory T-cell resistance to Treg resulting from anti–CTLA-4 treatment might be a biological activity marker for tremelimumab in patients with melanoma. I am the process of obtaining this Paper. I believe it holds another piece of the Melanoma puzzle. TUESDAY, March 31 (HealthDay news) -- Identifying the differences between melanoma skin cancer and a harmless mole can still be a tough call for even trained specialists. But scientists say differences in levels of certain genetic markers may help distinguish between the two lesions. Melanoma is the deadliest form of skin cancer. Standard microscopic examinations of tissue biopsies can be ambiguous, so using this new technique along with standard practice could help clarify difficult-to-diagnosis cases, according to researchers from the University of California, San Francisco. They found that both the level and the pattern of activity of five proteins can distinguish benign moles from melanoma. Testing the diagnostic technique on 693 previously diagnosed tissue samples, they found that it correctly diagnosed 91 percent of melanomas and 95 percent of benign moles. The technique also correctly diagnosed 75 percent of the most difficult cases that had previously been misdiagnosed."